In St. Louis, The Cloudburst Group worked with the U.S. Department of Housing and Urban Development (HUD) Field Office staff to create data-driven tools and strategies that provided improved funding and investment. The City of St. Louis, according to the HUD Field Office, had historically distributed HUD grant funds evenly across the wards of the 28-member Board of Aldermen, without regard to any validated housing and community development needs of its residents. In addition to those challenges, the City’s Community Development Agency (CDA) suffered years of recurring monitoring findings. With the engagement of HUD Field Office staff, The Cloudburst Group facilitated meetings with key stakeholders, including the Mayor’s Office, the Board of Aldermen, Washington University, and St. Louis University, and several community development intermediaries engaged in redevelopment initiatives. Strategies for using data to drive planning and funding decisions were introduced. A citywide housing market study was completed during Phase 1 of the technical assistance (TA), culminating in a Market Value Analysis (MVA) document to guide future investment decisions to key neighborhoods. During Phase 2 of the TA, The Cloudburst Group assisted the City in developing a Neighborhood Conditions Index (NCI) tool that will serve as a companion to the MVA to inform public and private investments targeting Quality of Life gaps or deficiencies in low-income neighborhoods. Using the MVA and NCI tools, The Cloudburst Group helped the City to further secure broad endorsement and active support from the public and private sectors, including developers and funders, for a data-informed planning process. Data-informed decisions can guide housing and community development investments in St. Louis and create city-wide consensus. 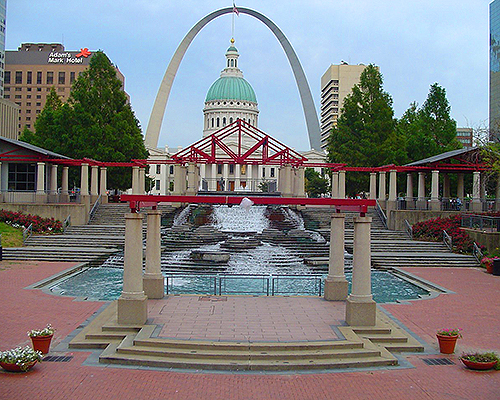 Development of the City of St. Louis 2014–2019 Consolidated Plan using the newly-published MVA to inform Housing Needs and Strategies, and the Neighborhood Conditions Index to inform non-housing Community Development and Public Service Needs and Strategies.